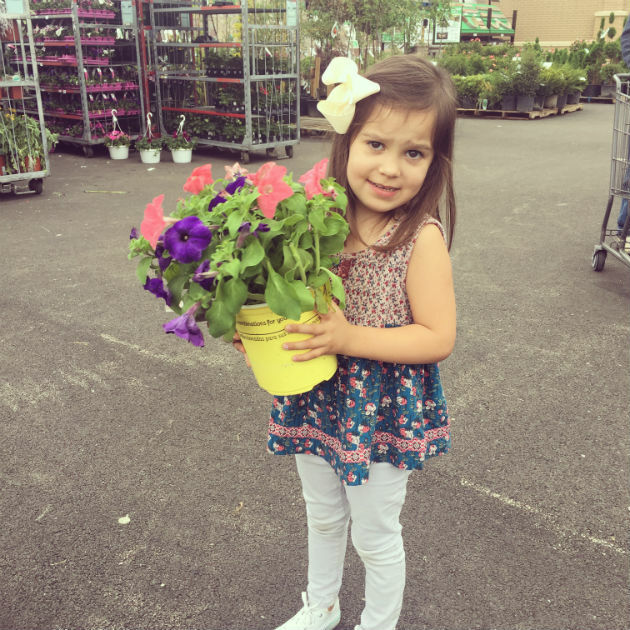 Chasing Sweet and Simple: Gabriella is 4! 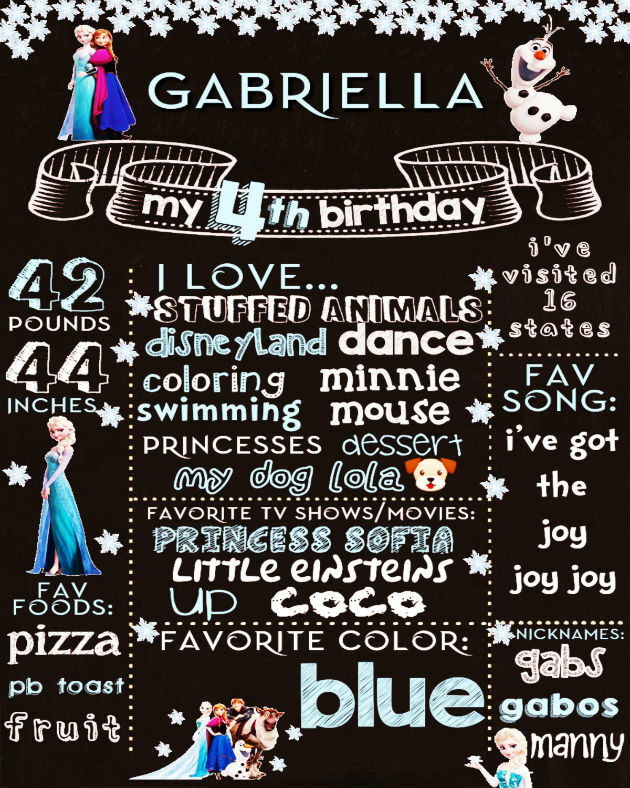 Gabriella Reese is 4 (tomorrow)! And she has been talking about her birthday for weeks now. 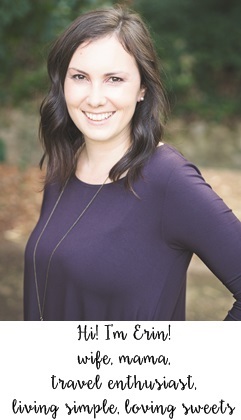 Gabriella made me a mama after a struggle with infertility, and I am so thankful! The past year she has really turned into a mama's girl, and I love having my little helper and buddy by my side. 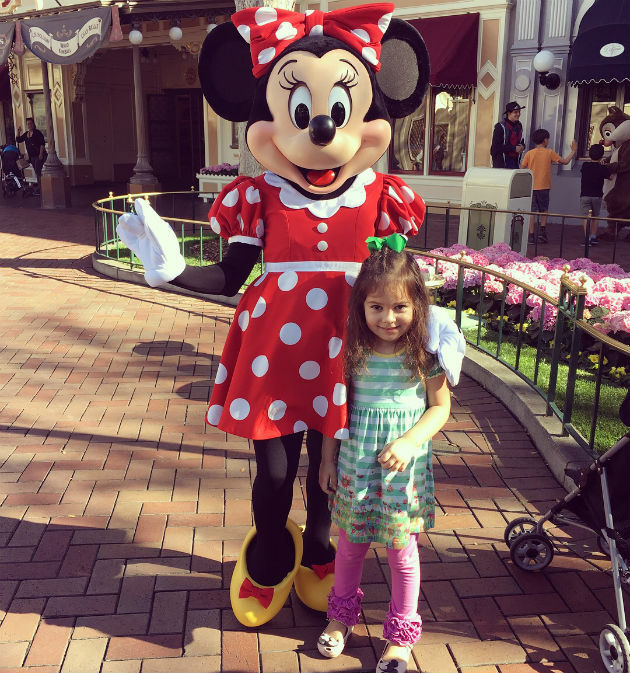 Gabriella is all about stuffed animals, princesses, minnie mouse, Disneyland, the ipad (#keepinitreal), playing with her cousins, playing pretend, and swimming. She is sweet, a little shy, bossy, and very sensitive. She loves to help us and her new thing is to constantly ask "what's that?" Gabriella's picky eating is starting to subside (a little! ), and we have gotten her to try a lot more things. She LOVES fruit and vegetables and could live off of those alone. She also loves yogurt, chicken nuggets, fries, peanut butter toast, and anything sweet. Her comfort is still milk, and she would drink it all day long if we let her. 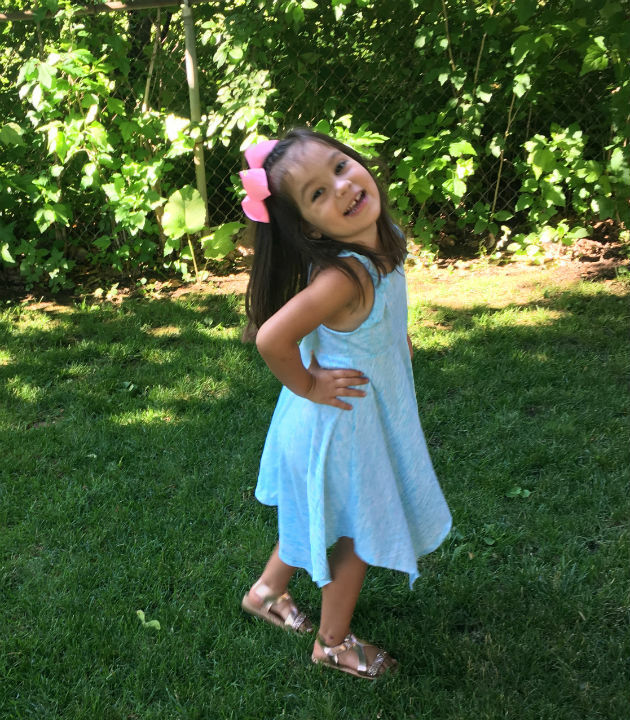 Some of Gabriella's current favorites are: the color blue, taking care of Lola (our dog), swimming, dancing, playing with her cousins, speech therapy, playing house with stuffed animals, and coloring. Gabriella has made big strides in her speech since we have moved to Illinois. I am sure it is a combination of listening to her cousins talk all the time and her speech therapy here. She can say any word now (not always clear) and we understand her most of the time! She still has a ways to go but she has come a long way!! 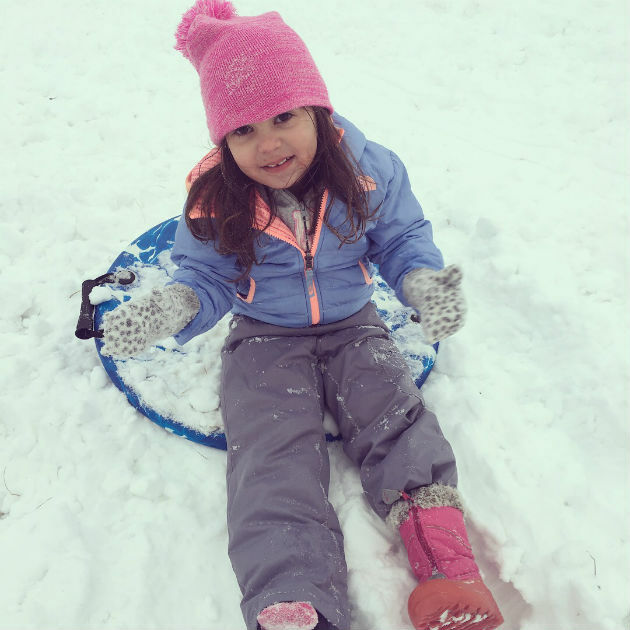 At 4 years old, Gabreilla has visited 16 states: California, Arizona, Nevada, Utah, Colorado, Nebraska, Iowa, Illinois, Indiana, Ohio, Wisconsin, Minnesota, Montana, Wyming, Idaho, and North Dakota. She has lived in two states (CA and IL). We are so thankful for our sweet Gabriella Reese. She is the perfect fit to our family!